Creating 3d renders, games, and animations is always incredibly exciting! Well, except when it gets challenging or tedious. If you’ve been using Blender or any other 3D app for a while, you’ve found yourself slogging through the same tasks over and over again and at some point thinking, “I really wish Blender just did this for me”. Through scripting, it can! Not only that, Python can create fun new features that are not even possible by clicking around the interface. 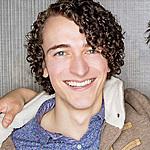 If you’re like me and haven’t had any training in computer science, programming can seem like a four-letter word except with eleven letters (2.75 times as bad!). It’s like a secret language that only smart people know, who probably also always read the nutrition facts, build rocket engines for fun, or have a Ph.D. in some type of math that doesn’t even use numbers. That’s thankfully not the case at all. The truth is, if you can use Ctrl+C and Ctrl+V to copy and paste, you can start making your own Blender Python scripts right away. Exposure therapy. Progressive desensitization. Call it what you will, but the best way to normalize something that seems weird initially is to see it often enough in the right context. 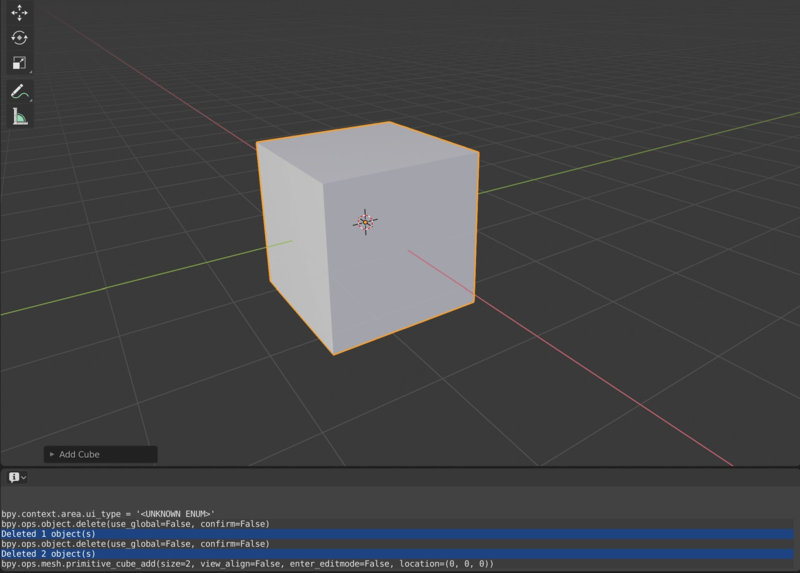 Every action that you take in Blender’s interface is executed via Python commands. You can check this out for yourself by switching your Timeline to the Info Editor and seeing what it spits out when you go about your normal work. You already know that the name for moving something is called ‘translate’, so the values that come after that are how much you’ve translated your object on the X, Y, and Z axes respectively. 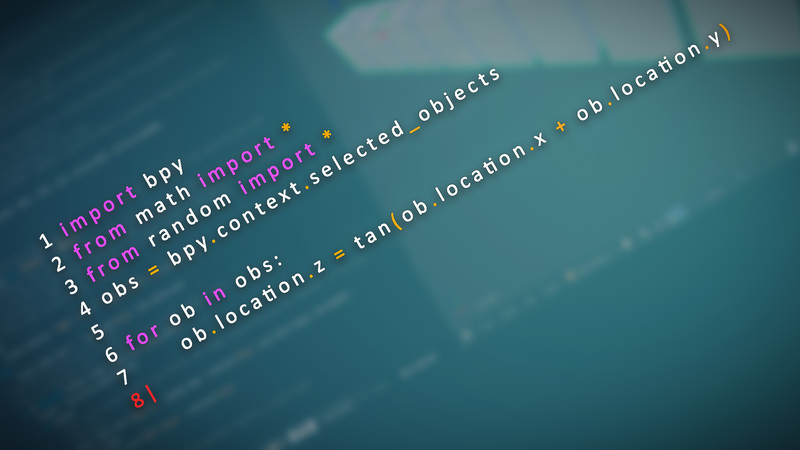 Everything before ‘translate’ is where that command is found in Blender’s code. 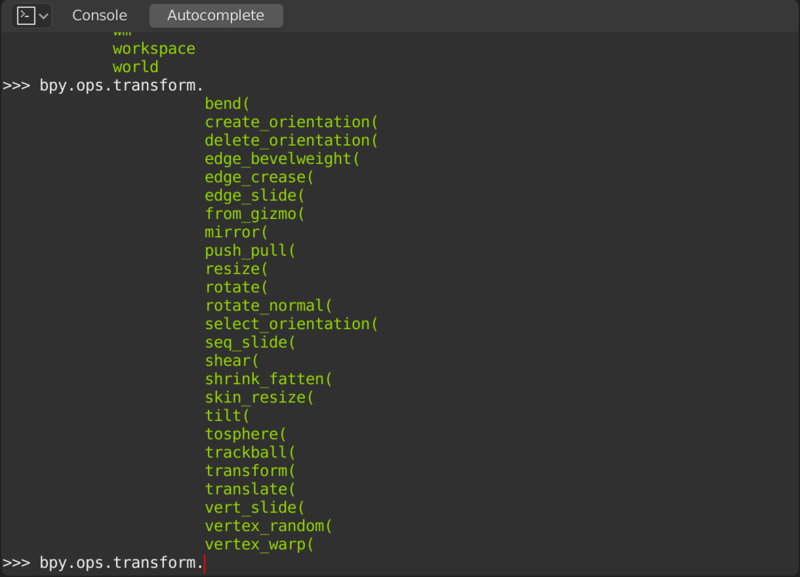 It’s as if Blender is one giant nested menu and you selected Blender Python -> Operations -> Transform -> Translate. There are nine main sections of Blender Python (bpy). You don’t need to memorize these, but recognizing some of them can help you understand how Blender is working under the hood. bpy.app - Information about Blender itself that doesn’t change while running. bpy.context - Read-only lists of what’s currently active in Blender. bpy.data - All of Blender’s internal data, such as objects. bpy.msgbus - Stands for “message bus”, and is used for notifying Blender of certain changes. Not something we need to worry about. bpy.ops - All the operations you can do in Blender, from modeling to appending files to rendering. bpy.path - Functions that deal with file paths. bpy.props - The different properties that Blender uses. You’d use this to tell Blender whether an input should be a number or a color. bpy.types - Every type of thing that exists in Blender, from modifiers to textures to lamps and much more. bpy.utils - Utility functions that are only for Blender but do not deal with internal data. If you’re curious, here is the API documentation for Blender 2.8 and for all previous versions. As you work, get used to seeing where your favorite tools can be found in the code. You don’t need to understand it all at this point - just get used to what it looks like! 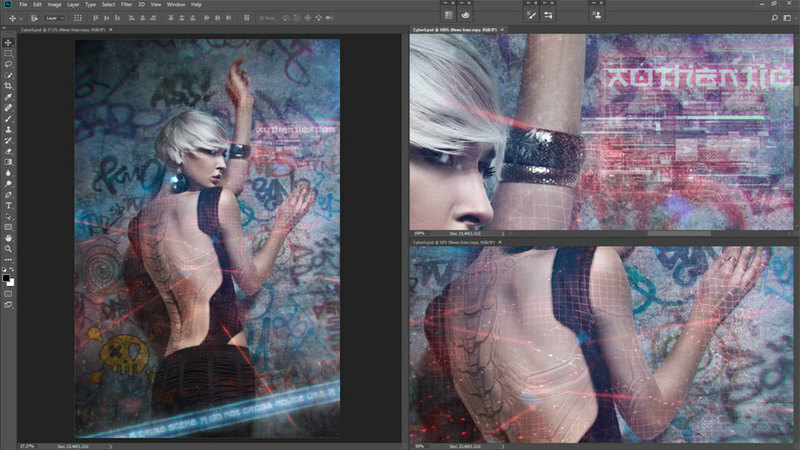 Once you’re ready for the next step, head over to the Scripting workspace tab. You’ll find the now-familiar info editor on the bottom left. Directly above that is the Python Console, which is where you can paste commands and make things happen. Try this: select a line in the Info Editor, hit Ctrl+C to copy, and then use Ctrl+V to paste it into the console. Hit enter, and you’ll see that exact same action happen again! Now try this: rotate, scale and move something, or do any other three actions in a row. Copy all three from the info editor and paste them into the Console. Now you just did three things at once! There’s no limit to this, so you could do hundreds of things at once this way if you wanted. Even if you go no further into coding, this is a great trick to keep in your back pocket. Hunting through a bunch of commands and copy / pasting all the time is itself pretty tedious if you do it a lot! 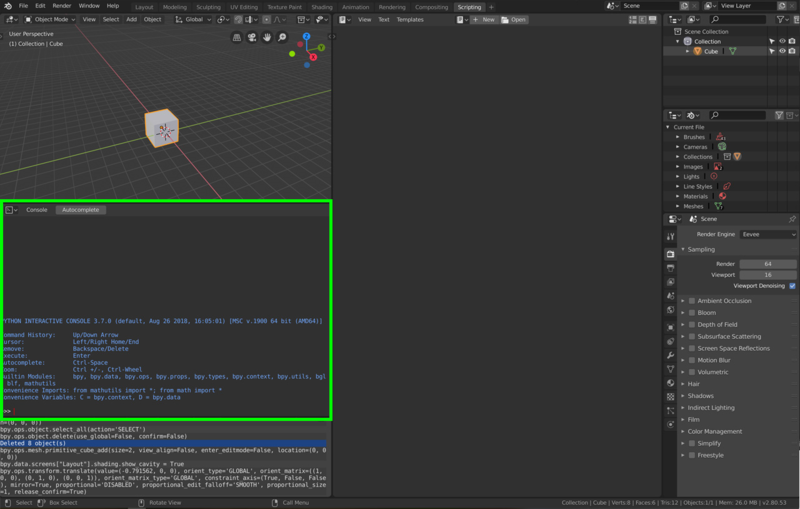 Let’s save ourselves some time and make our multitasking even more efficient by using Blender’s Text Editor. Yikes, that’s a lot of code for something so simple! If it doesn’t bother you then go ahead and keep it. If you find it intimidating though, try deleting everything except the value and the oriented axis so that it reads easier. The rest will simply assume defaults. At the top of the file, so that it can read Blender Python. It’s also helpful to switch on the three buttons for line numbers, word wrap, and syntax highlighting in the Text Editor’s header. There you go, you now have a script! You can now do three very important things all at once by clicking Run Script in the Text Editor’s header. If you want to save it for later or use it in a different file, go to Text -> Save As and save it as a .py Python file. Some commands that Blender has can only be done through code and are not found in the interface. In addition, other things that do change in the interface (like scrubbing the timeline) don’t always give you something in the Info Editor that you can copy and paste. You can always use Google or the Blender API Docs to help you find the right command to do what you need, but often it’s easier to just find it using autocomplete. If you start typing an address in the Python Console, you can hit Ctrl+Space and Blender will show you all available ways to complete what you’ve written. It’s a great way to navigate the codebase and discover new features. The Text Editor also has a Ctrl+Space autocomplete feature, but it doesn’t work the same and is generally not that helpful. If it’s something you’d use often, I’d recommend grabbing Jacques Lucke’s Code Autocomplete addon which will allow you to work much faster. If you’d like to turn your script into a proper addon that can be accessed via a button in the interface or a menu, Blender’s built-in templates are a great place to start. There can be a lot to remember when it comes to how to provide the info that’s seen in the User Preferences or how to register the addon so that it’s displayed properly, so templates are a great thing to refer to (or copy and paste from) if you get stuck. If you’ve enjoyed creating your own scripts but feel a little underwhelmed at their lack of power (I made some big promises at the beginning! ), then it’s time to learn more about Python and programming in general. Concepts like variables, loops, and functions are essential to making anything truly new or powerful. 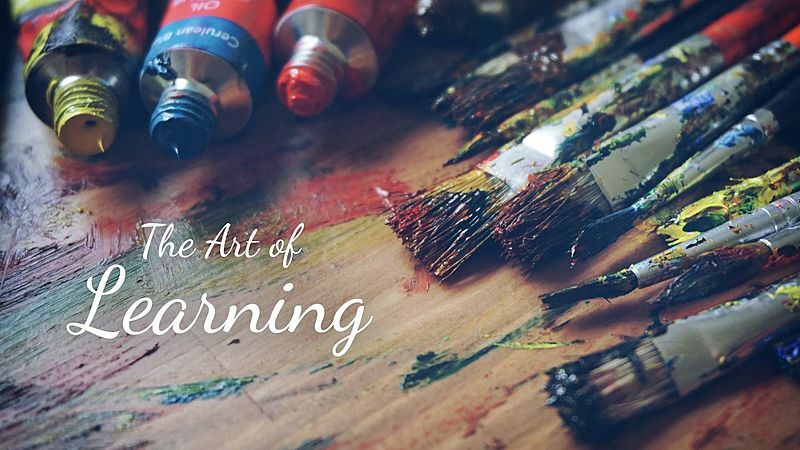 A little knowledge can go a long way here, so it really is worth the extra effort. I’d recommend digging into Python at one of the following sites. We're not affiliated in any way, they just do a good job. I hope this encourages you to give Blender Python a try! If you could have Blender do one thing for you automatically, what would it be? Great introduction to an interesting topic. I already have a lot of experience with python. But I would love more info about using it in Blender and for making add-ons. I feel that I'm already well-acquainted with just about everything CGCookie offers. However, that would change if there were more tutorials or perhaps an entire section devoted to python scripting. I'm very interested in the strength it brings to the Blender artists and there are ideas I have for addons, that I wish I had the Blender/Python knowledge to implement.